Paul Zara: There’s only one thing that I value in this world and its loyalty. Without it, you’re nothing. In reviewing a film that would be described as a political thriller, the question of how that person leans versus how the film is deciding to lean can easily come up. This is the same as associating any personal view towards a film, come time for its evaluation. Being subjective while holding back personal views can easily be tricky business to contend with. It also feels non-bothersome to me, as I am fairly apolitical and was really just interested in seeing what this fantastic cast could do in this film. Headlined by Ryan Gosling and starring George Clooney both in front of and behind the camera, among others, The Ides of March is a solidly entertaining film that may not have the punchiest dialogue or sharpest take on modern politics, but is very well acted and assuredly made. 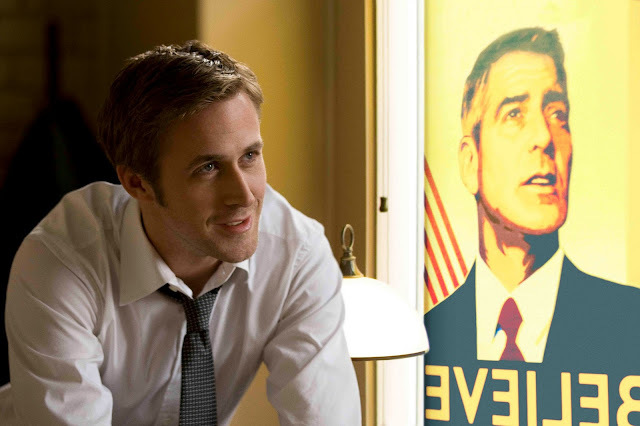 Ryan Gosling stars as Stephen Myers, the Junior Campaign Manager for Governor Mike Morris (George Clooney). Morris is the Democratic presidential candidate. 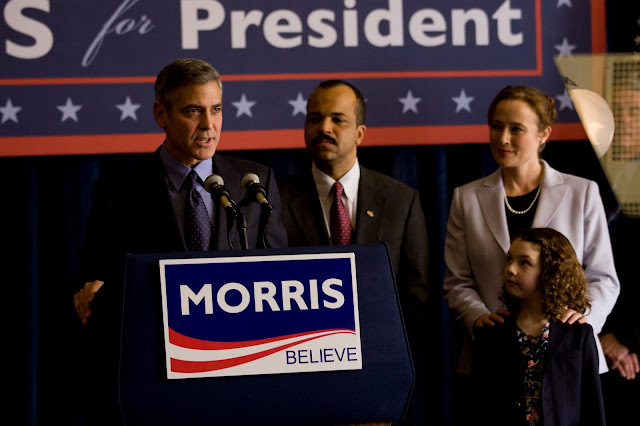 Stephen and Paul Zara (Phillip Seymour Hoffman), the Senior Campaign Manager, are currently with the Governor and the rest of the campaign staff in Ohio, hoping to enlist the state’s support, basically guaranteeing Morris’ nomination. Myers is an idealist, who fights to support those who share his beliefs and is not currently one who feels he could become cynical and corrupt, opposed to others who share his line of work. 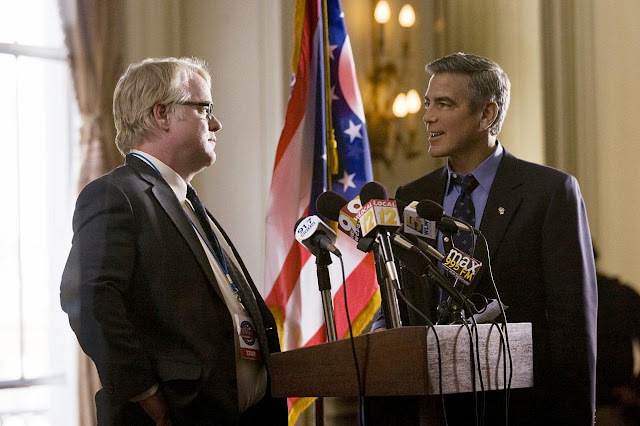 Following one debate, a rival campaign manager, Tom Duffy (Paul Giamatti), meets with Myers and offers him a position, based on information he has, which is scoffed at by Myers. During this time, Myers also begins to have a closer relationship with one of Morris’ hardworking interns, Holly Stearns (Evan Rachel Wood). And while all of this is going on, a lot is also riding on getting Senator Thompson (Jeffrey Wright) to endorse Morris’ campaign to further secure his nomination. Each of these elements will have an effect on the views that Myers develops as he realizes what may be necessary sometimes, when you are forced to weigh one’s own ethical code. 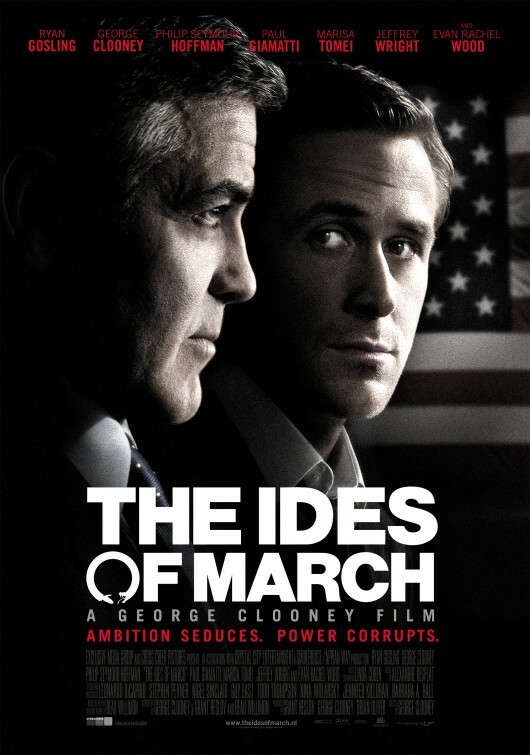 The Ides of March is an adaption of the 2008 play Farragut North by Beau Willimon, who helped adapt the screenplay with Clooney and his writing/producing partner Grant Heslov. 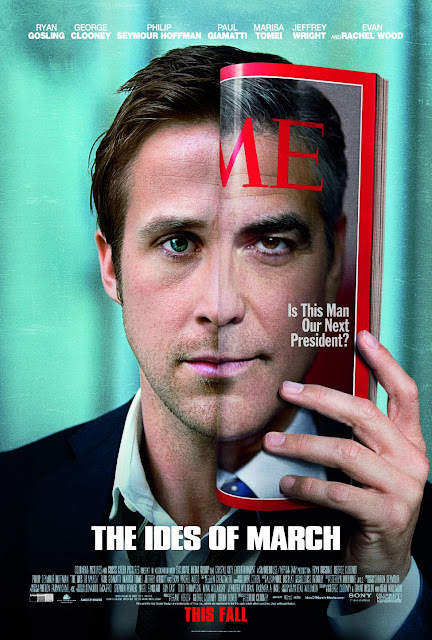 The film was also directed by Clooney, who does a good enough job here, even if this film is the most straight-forward directing work he has done yet, especially from a visual style standpoint. It feels like a film that was able to secure a strong cast and have them have at it for the majority of the runtime; working with the screenplay provided to them, which is strong enough, despite not going at lengths to have the dialogue feel crisper to the tune of something more Sorkin-like. 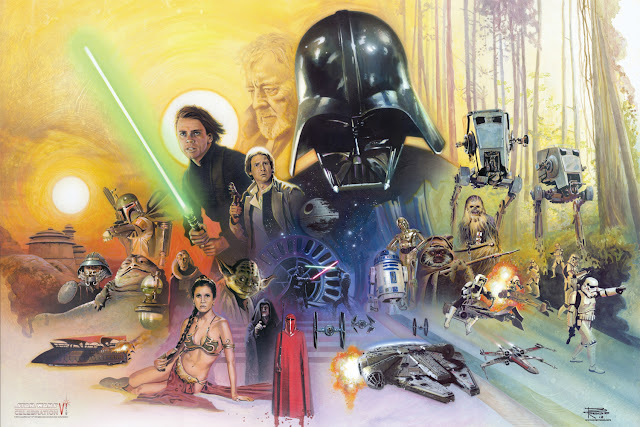 I am not faulting this movie for not being something it’s not, but I do feel that the enjoyment of this film is going to be based around how much you appreciate watching these characters, as opposed to be based around how well shot it is or how smooth or quotable the dialogue feels. With films that have been adapted from plays, the problem I tend to see is based around how stagey and limited it can feel. Fortunately, I did not see that as a problem here. The scope is not enormous, but I did feel that there was a certain amount of geography present and enough work done to move all of these characters around that I was not concerned with how many monologues were delivered or how many times one set was used. It is a feature film that has a proper story to tell and felt like there was a world being inhabited by all the players in it, even if it’s mostly based around Ohio. My main appreciation for this film does stem from all of the actors involved. Gosling is on fire this year, despite being one of the weaker links in the film. Not at all a jab at his work in this film, as I think he does a very good job at playing this character who slowly descends as the story plays out. He has a level of honesty and the way he serves as the focal point of the film gives him the chance to play well enough with the all of the other characters. Having Hoffman and Giamatti in the same film together, in similar roles but on opposite sides of the field is a wonderful thing to behold and I only wish that these two could have been brought together more. Clooney plays his part as one would expect. 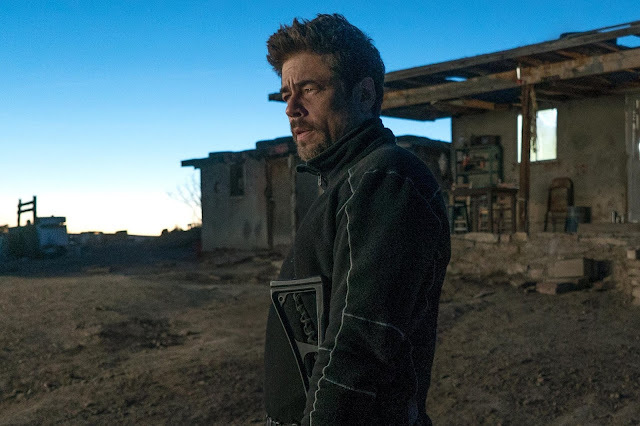 He has a winning level of confidence that plays to his strengths, but there is an interesting touch late in the film that brings a little more for him to do. Wood may be playing one of the prettiest interns around, but at least her chemistry with Gosling was nicely played as well. Marisa Tomei also has a part in this film as a reporter for the New York Times, which basically gives me the opportunity I need to continue loving Tomei in anything. And finally, Jeffrey Wright is a good enough actor that the less than 10 minutes of screen time he has was still good enough to have me satisfied. I think one of my larger concerns going into this film was going to revolve around how important the actual political issues are and if the film was going to lean on something too overtly. Fortunately, it does not really do that. It makes its stands, based on what the viewpoints for the characters, mainly Morris, are, but the film thankfully does not seem too concerned with dictating certain points and is actually fairly hollow when it comes to bringing anything new to the table. 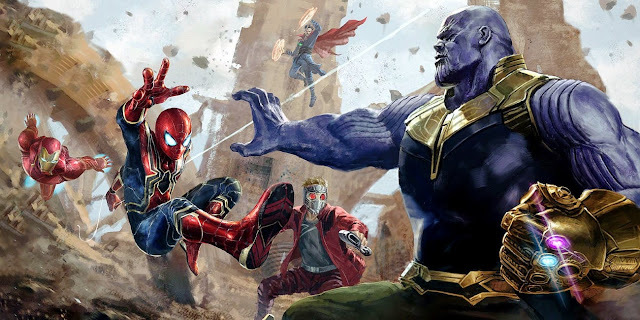 Instead, the film’s real concern is to bring about a dramatized version of the various amounts of power wielded behind the scenes of a campaign and the turmoil that characters face when dealing with different sorts of news scoops, offers, and deals. Due to this, I was intrigued throughout and was also onboard as the film decided to throw in a number of twists along the way. Alexandre Desplat’s involving score was helpful as well when it came to keeping me involved in this film. I was genuinely engaged throughout, which is due to all of the actors who showed up and gave very solid performances. 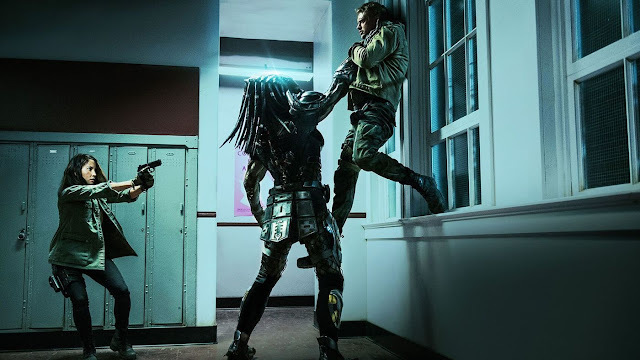 I did not think its entertainment value and overall quality necessarily lends itself to transcending into the realms of higher accolades (beyond the possibility of some supporting nods), but I do think it’s a finely crafted film that benefits from not being overly done in any particular area. 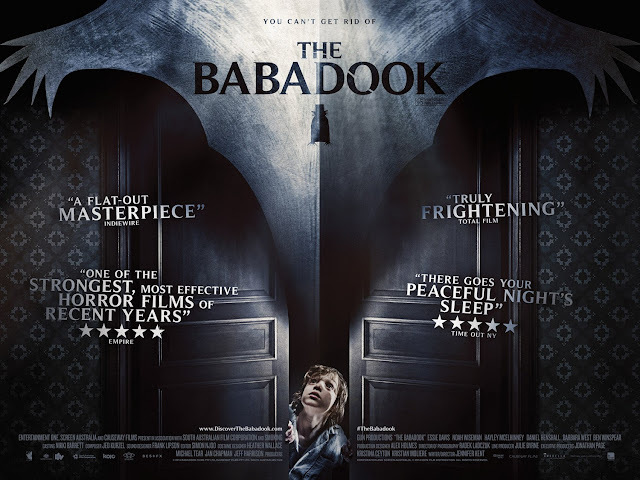 It wisely plays out its story at a well kept pace and employs more subtlety when dealing with other aspects. A fine drama. Stephen Myers: We’re gonna be fine. We have to do it. It’s the right thing to do. And nothing bad happens when you’re doing the right thing. Mike Morris: Is this your personal theory, because I can shoot holes in it. Stephen Myers: Well there are exceptions to every rule.